We nerds already know this but this t-shirt will tell the rest of the world. This t-shirt says “Nerds rule the world” and this text is printed in a orange target. And yes Nerds come in different sizes and styles and so do the t-shirts. 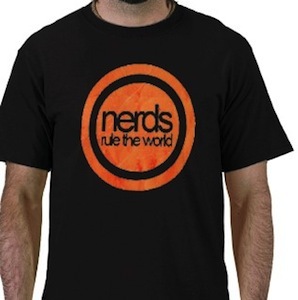 Be a nerd and wear this Nerds Rule The World T-Shirt.